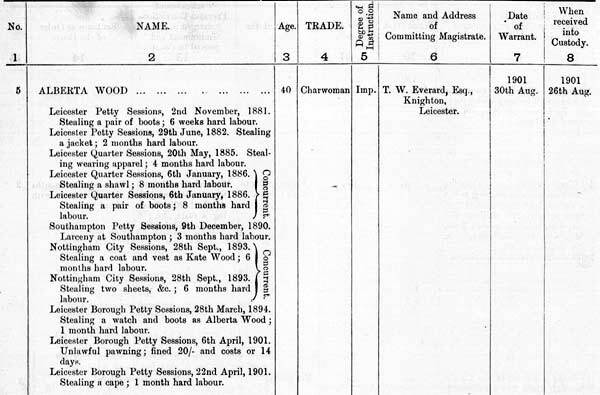 The calendar of prisoners shows that Alberta Wood had a long criminal record. This is a Home Office document and is held by The National Archives. Records of both petty and quarter sessions, however, are normally held by local record offices.